Hungary, a Central European country, is full of historic sites, beautiful countryside, divers & cosmopolitan cities, and also great food. The Hungarians are also famous for their hospitality! Hungarian couples usually have one to two children, and it remains a somewhat low average number of children per family in Europe. The family is the center of the social structure in Hungary. Generations of extended family often live together and grandparents play an important role in helping raise the grandchildren. The family provides both emotional and financial support to its members. After completing high school, Hungarians will either pursue post-secondary education or travel abroad, although some of them will start working. Hungarian au pairs will usually have child care experience through private babysitting of younger siblings and relatives, kids in their neighborhood, etc. To obtain a driver’s license, Hungarians need to pass a written exam, take practice driving lessons and pass a practical test. The fees to get a driver’s license are relatively high and about half of Hungarian households own a car. Hungary also has excellent public transportation. It is always recommended that you discuss your driving needs with your au pair. Hungarian students are required to learn a foreign language. Although it does not necessarily have to be English, it remains, together with German, one of the two preferred foreign languages. More emphasis is put on writing skills and grammar so you may found that your Hungarian au pair is more comfortable reading and writing in English than speaking. We encourage you to write down her schedule and chores to make sure they are correctly understood. Your search did not match any Au Pair. I babysat Ludovia (4) from June to August 2018 for 3 to 4 hours a day, as needed. I would plan activities for her, carry her, supervise her chores, and prepare meals for her. From March to June 2017, I watched several children, ages 11 to 13, every Friday afternoon with a group of entertainers. 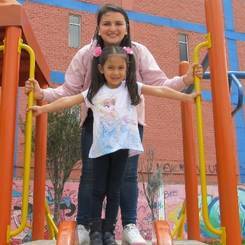 Our responsibilities were to organize activities for the children in addition to supervising them. Finally, from late July to early August 2017, I worked at camping week all day during the week with children age 11 to 13 years old. My duties were to look after the children, plan activities for them, and put them to bed. Reading books, watching movies, going out with friends, going shopping, going to the movies, listening to music, going to concerts, cooking, traveling, discovering new places, and doing physical activities such as playing volleyball. I want to be an au pair because I love children and all the innocence they represent. I love seeing how they develop and learn new things every day. Furthermore, I want to grow as a person with international experience which will also allow me to open my horizons and improve my English skills, meet new people, and hopefully learn what I want to do in the future. I have watched 20 kids, ages 5 to 10 years old since November 2017 for 5 hours each Saturday. This includes playing with them, helping them eat, making sure they shower, and putting them to bed. I also have babysat Sandra (7) and Laura (4) since May 2018, 3 afternoons a week. I play with them, help them with homework, and prepare dinners for them. Reading, writing, hiking on the mountains, traveling with my parents or friends, cooking healthy dishes, cooking sweets, playing field hockey, running, swimming, CrossFit, and watching soccer, basketball, and other sports. I have decided to become an au pair because I would like to live like an older sister in the United States. I like learning from children and having them learn from me. It is also a good opportunity to know firsthand a culture different from mine and learn more English. I have worked with a group of children, age 18 months to 5 years old since July 2017 on weekdays. I am responsible for pedagogical learning, helping them with their tasks, playing with them, and reading stories to them. From October 2016 to June 2017, I babysat Gael Pineda (3mths) on weekends. This included changing diapers, preparing food for her, bottle feeding her, playing with her, and teaching her. I also babysat Maula (3mths) on weekends from May 2014 to June 2016. I changed her diaper, made food and bottles for her, played with her, and taught her. Finally, from January 2012 to May 2014, I watched Juan (3) on weekends. My duties were cooking for him, feeding him, teaching him, playing with him, driving him to and from school, and doing various tasks with him. Cooking, walking, running, watching movies, travelling, dancing, tennis, running, and basketball. 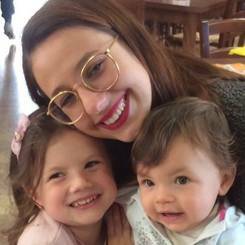 I want to be an au pair in the USA because I feel comfortable caring for children, I like to share, and I like to teach and discover new things with them. 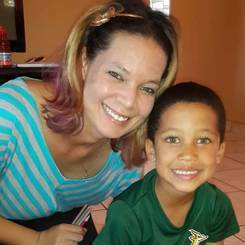 i am patient, curious, independent, creative, and loving with children. In 2018 I worked at two different daycare centers with children 3 months to 5 years, about 10 hours a day, every weekday for 2 months each. I supervised the children, assisted in feeding them, changing diapers, bathing them, teaching them basic school knowledge. In 2014 I was looking after Darata (1) and Dermarchio (3) every weekday, feeding them, changing diapers, going on walks, and keeping them busy. Since July 2018 I have been looking after Hayzel (1) occasionally, feeding her, bathing her and putting her to bed. I love helping children develop their skills and I believe I am equipped to do so. I would also like to experience something new and out of my comfort zone - learning about different cultures and see a little more of the world. I also believe my skills gained at the daycare centers that I volunteered at will aid me in developing the children I will care for in an educational way. I watched Sheyi (12) and Alicia (2) from January 2014 to August 2018, occasionally, but on most weekends. This included keeping them entertained, cooking for them, cleaning up after them, driving them around, and putting them to bed. 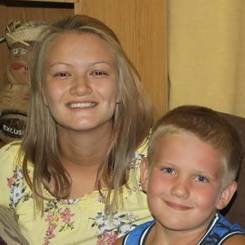 From July 27 to August 11, 2018, I watched Nampa (9) daily, driving her to and from school, taking her to her afternoon activities, keeping her entertained, helping her with homework, preparing meals for her, bathing her, and putting her to bed. Lastly, on weekdays from October 19 to November 5, 2015, I was a stand-in teacher at a primary school for grads 2 and 4. My duty was to make sure that they completed the work and understood what they were doing. I also marked their work whenever they finished. I would like to become an au pair because I see it as a wonderful opportunity to fulfill my dream of seeing America and being able to do so for a year is like a dream come true. Seeing that I have been surrounded by children for most of my life, I know how they work and how they all have different personalities which I don't have a problem adapting to. 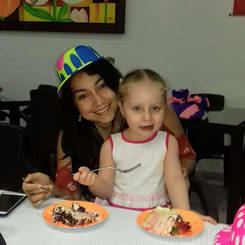 Being with children is always wonderful and my goal is always to make them feel comfortable to be themselves around me as if I were their older sister. Building memories and getting to see them grow is something that I enjoy. In 2018 I have been taking care of Jenna-Leigh (7), during the school vacations and over weekends. I played with her, took her to play dates and outside with her, read and bathed her. In 2018 I have been taking care of Donovan (3) for two weeks in December, I played with him and fed him, watched movies and did creative activities with him. Between 2018-2019 I cared for Kerry-Leigh (4), I played with her, fed her and read her stories and did some craft activities with her. Between 2018-2019 I was a teacher at Dottieland kindergarten and I was responsible for boys and girls 2-5 years old. I helped them during lunch time and played with them. I want to become a teacher one day and I believe this experience will prepare me for my future as a teacher. 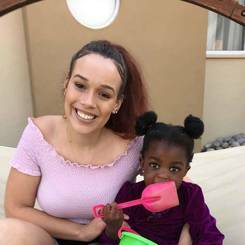 I am currently a student teacher at a daycare for children aged 2-5 years thus do I have the skills to deal with children with different personalities and different ages. I received my high school diploma with two distinctions, my subjects varied and thus do I have a wide range of general knowledge. Children absolutely love me and look up to me. I've also been working at a restaurant for 2 years which have taught me excellent communication skills with people with different personalities. It has also taught me great listening skills and how to follow orders correctly. I want to learn as much as possible about the American culture and bond with my host family and make friends from all over the world. In January 2019 I had internship in kindergarten with children 3-5 years old, I supervised them, prepared meals for them and played with them. In 2019 I worked in After school center with children 6-11 years old, I took children from school, prepared meals for them and helped them with their homework. Between 2017-2019 I took care of Nathan (4), I bathed him, fed him, read him stories, played with him and taught him how to play sport. Reading books, drawing, traveling, going to the nature, playing soccer, swimming, skiing, kneeboarding. 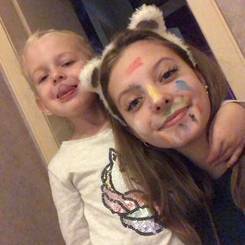 I want to become an au pair because I love working with children whether it is playing Lego's with them, teaching them or helping out with something. I love the feeling of seeing the smile on a child's face when they are enjoying themselves or when they get something right. 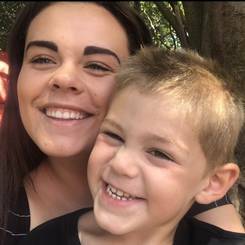 I would love to learn more about America's culture and there traditions and what better way than being and au pair and working with children wile getting to enjoy the beautiful country trough the eyes and mind of a child. I consider my self qualified because I have previously worked with kids and I enjoy working and spending time with them because they are unique and we can learn a lot from them as well as they from us. My strengths would have to be my patient when working with kids and that I love to keep them busy and entertained. Since 2016 I have been caring for Isabella (4) every week, playing with her, preparing her meals, etc. Last year I worked a couple hours a week with a group of children at a dance class, the children were 8-10 in one class and 13-16 in another class, and I was their dance teacher. I had an internship at a hospital as well, where I helped out at the newborn unit, changing diapers, preparing food for the newborn and their parents, sorting out clothes, etc. Finally, I have been tutoring two 14-year-old boys once a week in 2017 and 2018. Dancing, swimming, in-line skating, volleyball. I want to go to the USA on this program because I would like to travel, learn about the American culture and gain experience for becoming a teacher in the future. Also, I like to work with people and help them in general. I think that I am qualified for this program due to the fact that I am an extremely open, persistent and assertive person and that I get along with children very well. I watched 15 children, ages 10 to 24 months, from September to December 2016 for 5 days a week at a daycare center. This included changing their diapers, feeding them, and playing with them. From January 2017 to June 2018, I supervised 43 children, age 2 to 4 years old for 3 days a week. This included feeding them, playing with them, taking them to the park, doing crafts such as painting with them, and watching movies. Finally, I watched 20 children, age 4 to 6 years old from June to July 2018 for 5 days a week. My responsibilities included feeding them, playing with them, helping them with their homework, painting with them, going to the park with them, doing crafts, and watching movies. Cooking, crafts, hanging out with friends, outside activities, volleyball, soccer, and swimming. 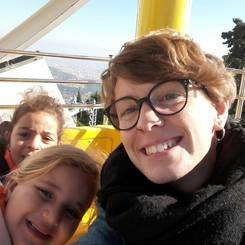 I would love to be an au pair because I can improve my English skills, meet new people and discover new places. My strengths are that I'm kind, responsible, friendly, adaptable, and creative. I watched Emanuel (5) and Taliana (9) from May to November 2018 for 2 Saturdays every month. I prepared dinner for them and took care of them until they went to sleep. From June 2015 to May 2018, I babysat Celeste (5mths) for 15 hours a week. I changed her diapers, bathed her, dressed her, fed her with a bottle, played with her, and went out with her in the stroller. Lastly, I watched Emanuel (6) 3 nights a week from July to October 2018. I cooked dinner for him, and helped him with his homework. 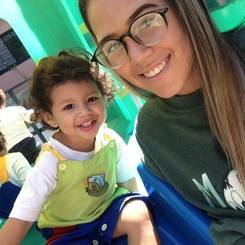 I would like to be a part of the au pair program because I am a person with initiative, responsibility, happiness, honesty, and creativity. I would like to do this exchange because I want to know other cultures, learn from it, and improve my English skills. I am first aid certified, I carry out psycho-psychological accompaniments for children with special educational needs, I play soccer, do puppetry, and am a strong bike rider.